THE HOLOGRAPHIC LIFESTYLE - MetaModern Magazine, The Voice of Our Digital Meta Modern Culture. The Hologram has been here, the holographic lifestyle is here, it is working, and it is available, and is called, Holus, by H+. The only question now, is the holographic lifestyle uptake. Holograms have been within our world for decades, but not as an available technology, people, education, and lifestyle ready…until now. Holographic images have been presented by many companies, yet the company H +, has it’s finger on the pulse of the use. The holographic lifestyle, as we know it, and have seen on countless commercials and films will be within our homes, our working environment and on our persons as wearable technology. The hologram lifestyle is, now. Holus turns technology and information into an interactive, social experience that brings people together. 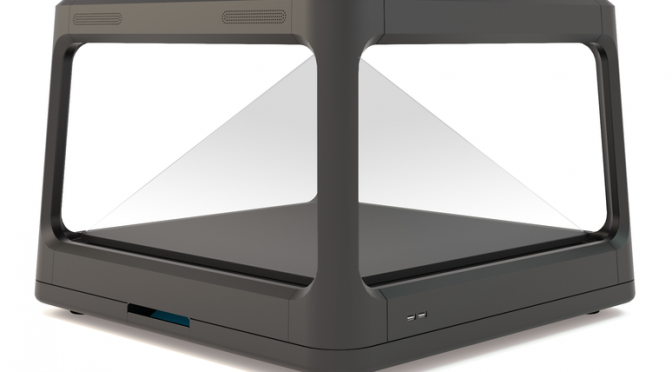 It converts flat 2D content into a 3D holographic experience. Holus “unlocks the pixels” and provides a magical blend between the digital and real world. The SDK will be available for developers and will grant them the ability to render holographic objects and develop creative interactive applications. The company, H +, has taken societal and personal needs, such as The Ronald McDonald House in British Columbia, and given the amazing gift of holographic interaction for children. Within their 3D, hologram, lies an incredibly amazing world, only limited by, well, nothing. To fathom a world within a 3D interactive realm, is to dive into one’s imagination, needs, and even childhood. The ability to see motion, action, interaction and engagement from all physical angles; the abiltiy to create, interact and particpate within a hologram is truly a metamodern reality.